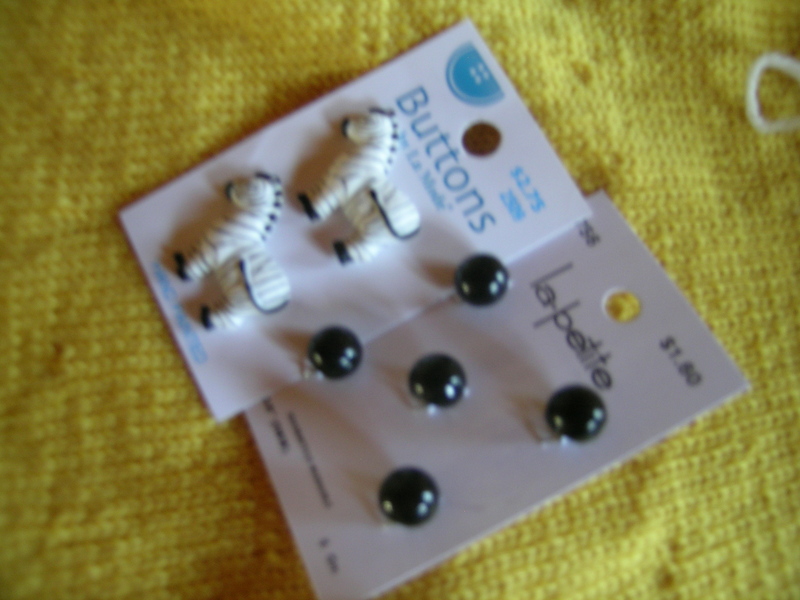 And, I bought black buttons for the top, and found these cute Zebra buttons,which I opted not to use in the end—I was going to use them as decorative accents only. I find that the cutsie buttons do not function well on a daily use. The button hole either has to be too big, or gets snarled up. So, after weaving all of the ends in, doing the trim and facing at the arms and collar, I was ready to work on the duplicate stitch pattern on the front. In my infinite wisdom, I had made the back shoulder straps longer to allow them to tuck under the front straps, and provide a better closure. As I was working on the duplicate stitch I thought to myself that one would never want to rip that out, as you would have a good chance of ripping the body. When I was completed, and looking to the button holes, I realized that I had embroidered the placket on the back o the dress. Oh well, the buttons will be back farther than I had planned. 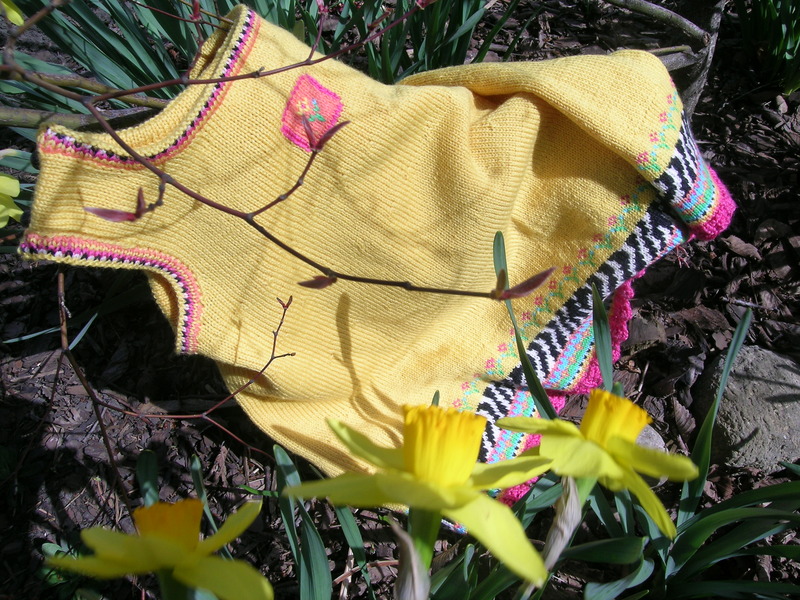 I don’t think that anyone will notice, but my note to self is that the next time I make this, the orange color in the embroidered patch should have been knit in intarsia, and the accents only done done with duplicate stitch. 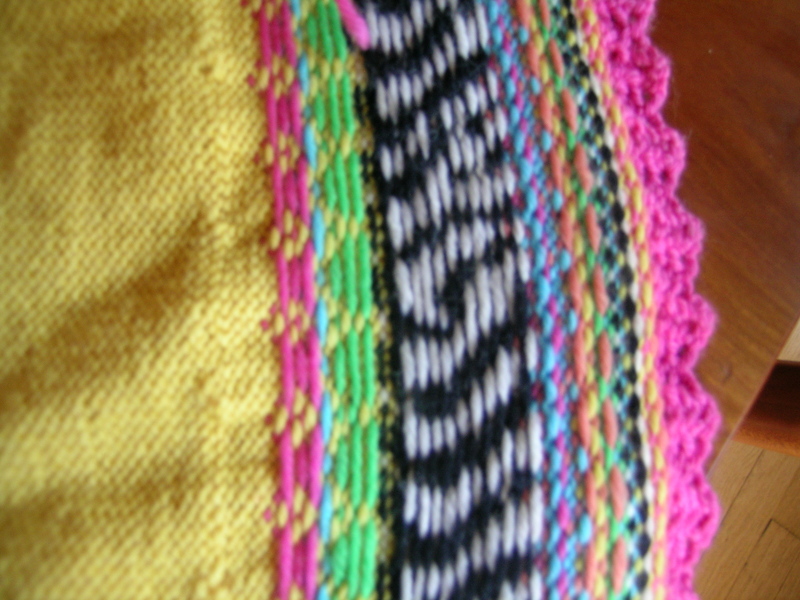 The end result would have been a less dense fabric at this point, cleaner lines, and I would not have made this error. Start the intarsia about 3-4 rows after the arm neck decreases have started, and it should work great. 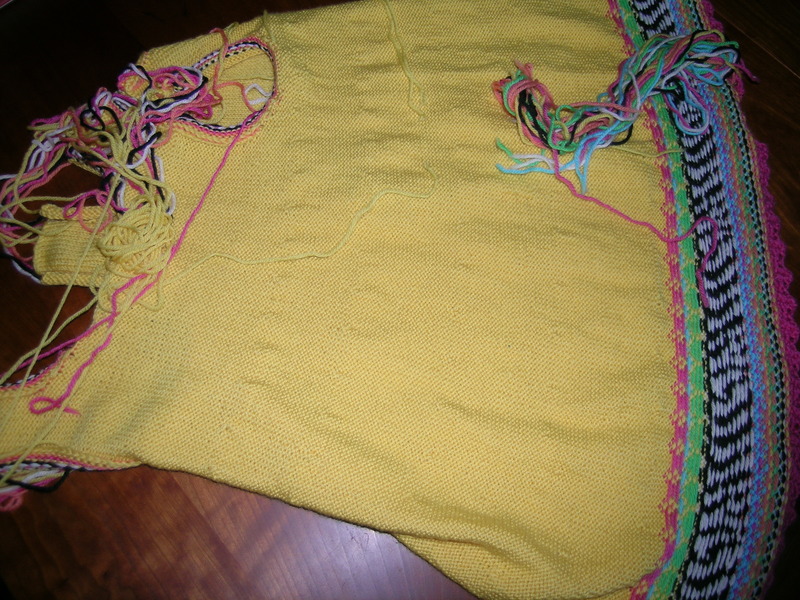 Another pet peeve is that there are an even number of stitches in the center of the dress, and the placket is an odd number, so it has to be offset one stitch in one direction or another. I might handle this part differently also. I added a line of single crochet to the top of each strap to give it more stability also. 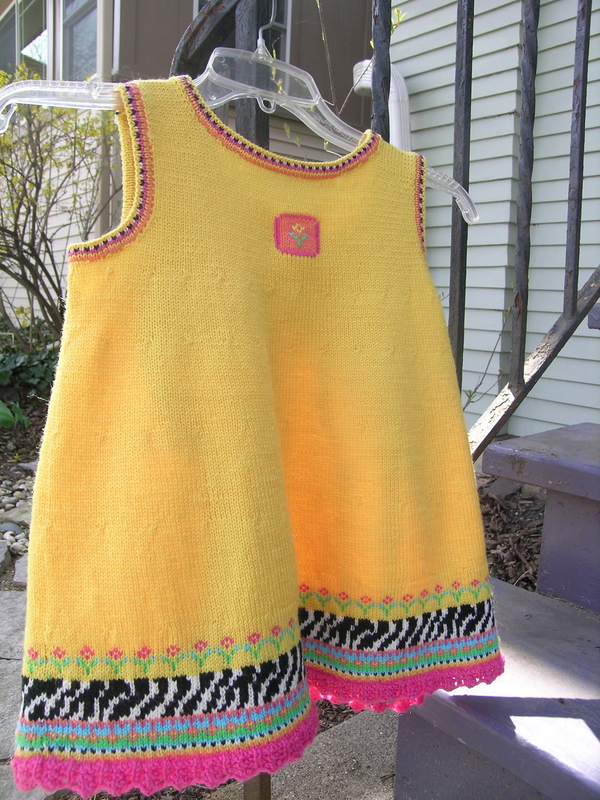 This will make such a cute Easter dress one day. I like my color changes (substituted tangerine for red, and a lighter turquoise), I think it gives a softer, smoother flow to the colors. Happy Easter everyone! ZOMG that is so adorable.